The complications caused by CKD impact our overall health and well-being. As CKD progresses, blood, bone, the pH (acid base) balance, and heart health are affected. This post will familiarize you with these complications as well as their standard treatment approaches. As CKD progresses, the kidneys' ability to make the hormone erythropoietin (erith-thro-po-eaten) is greatly diminished. If you recall, the job of this hormone is to stimulate the bone marrow to make more red blood cells. When the number of red blood cells decreases, there is a decrease in the hemoglobin (Hgb) level. 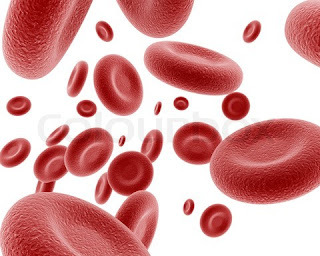 Remember that red blood cells contain Hgb, which carries oxygen to the body's cells. A low Hgb level can result in a condition called anemia. The normal ranges for Hgb are between 14 to15 mg/dl for men and 12 to 13 mg/dl for women, however an acceptable Hgb level for someone with CKD is between 11 to 12 mg/dl. In addition to causing weakness and fatigue, anemia affects the heart. Since the body always tries to maintain balance, the heart will work harder to supply the body with much-needed oxygen. Over time, the overworked heart becomes worn down. Anemia is a contributing factor of heart disease and heart problems that can develop in CKD. Treatment involves supplementing or replacing the erythropoietin that the kidneys no longer produce. One of the two following medications will be prescribed: epoetin alfa (Procrit) or darbepoetin alfa (Aranesp). Both are usually given by injection at the doctor's office. In certain circumstances, a patient or one of his family members can be trained to give these injections at home. The doctor, who is closely monitoring the Hgb levels, determines the dosage and injection schedule. The injection schedule can range from weekly to as far apart as every three to four weeks. Injections are usually withheld when an Hgb level is greater than 12. Note that the Hgb levels that doctors now use as guidelines may change in the future. Procrit and Aranesp can raise the blood pressure; therefore, it is important that a blood pressure reading be done before injecting the medication. Your doctor will instruct you at what blood pressure to hold the medication; usually it is held when the systolic blood pressure is greater than 160, which is the top number on the blood pressure cuff. The technique for obtaining your blood pressure if you are doing injections at home. In order to get the maximum benefit from the injections, you need to have an adequate amount of iron stored in your body. If you are found to have low iron levels, a supplement can be prescribed. Sometimes iron levels are so low that your doctor may need to order an intravenous form of replacement. It is important to note that a recent study has indicated a possible link between anemia replacement therapy and cancer progression in people already diagnosed with certain cancers. Nephrologists will collaborate with cancer doctors, or oncologists (an-kala-gists), to provide optimal treatment and care. To find out more, you can check out Blood Work Kidney Function.